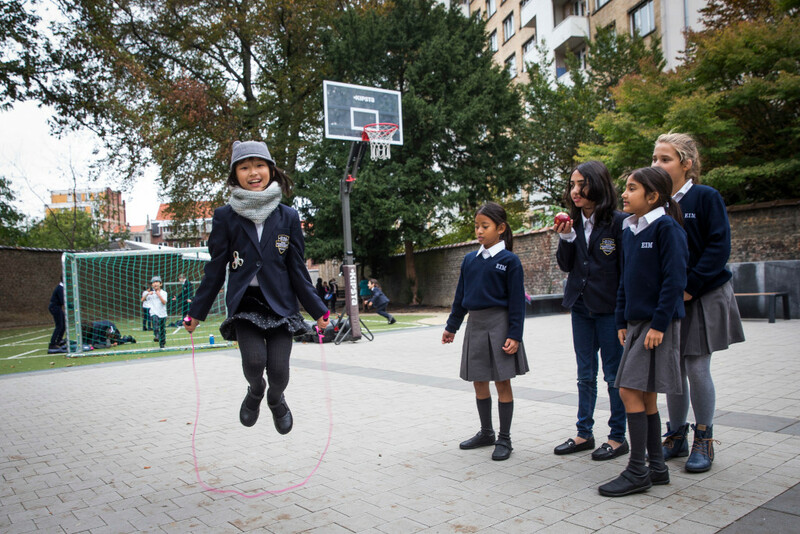 Ecole International Montgomery - EIM - we are an IB Diploma accredited international school, located in the heart of Brussels less than 2 km from the European Commission headquarters at Berlaymont (Schuman Square). As a full school, we have both primary and secondary sections and offer an English and bilingual English-French programme. Our mission is to offer the best education in a small environment - with dedicated and experienced teachers and a close, supportive relationship between staff and students to encourage independence, personal development and success. With a maximum class size of 15, we ensure that each student, whether in Primary, Middle Years or the IB Diploma Programme, is able to flourish. We have a very active and popular theatre programme at EIM and students perform plays and shows twice a year in prestigious, historic Brussels theatres. At EIM we are international both in our programmes and staff, and in the outlook of students who come to us. Most of our students have come from abroad, speak two or three languages and add much to the character of the school. We also attract Belgian families and long term expats who are looking for international openness and quality teaching. As the Belgian and European capital, Brussels is a vibrant cultural city and a multilingual centre of economic and international policy, home to the European Union. Brussels is also the headquarters of the Permanent Council of NATO, as well as home to several universities. Our student body reflects this multilingual multiculturalism and EIM takes full advantage of our location with trips to EU institutions, Parliament, university libraries and other cultural and artistic venues throughout the year.